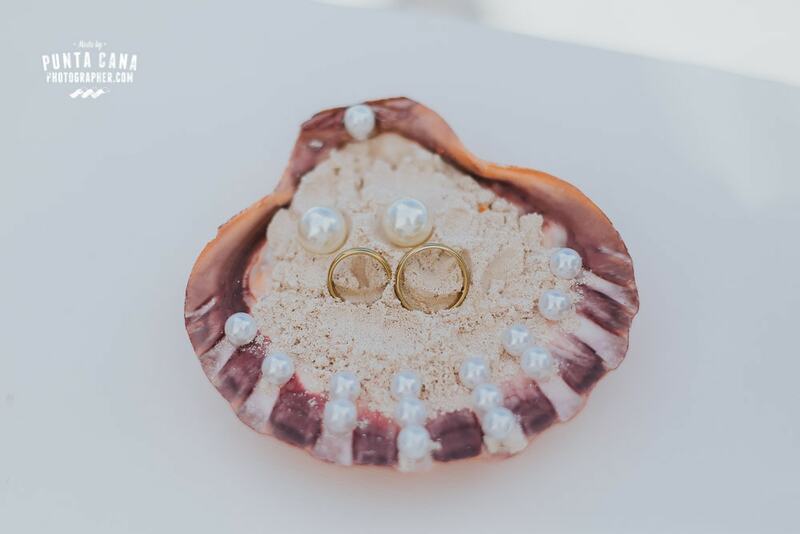 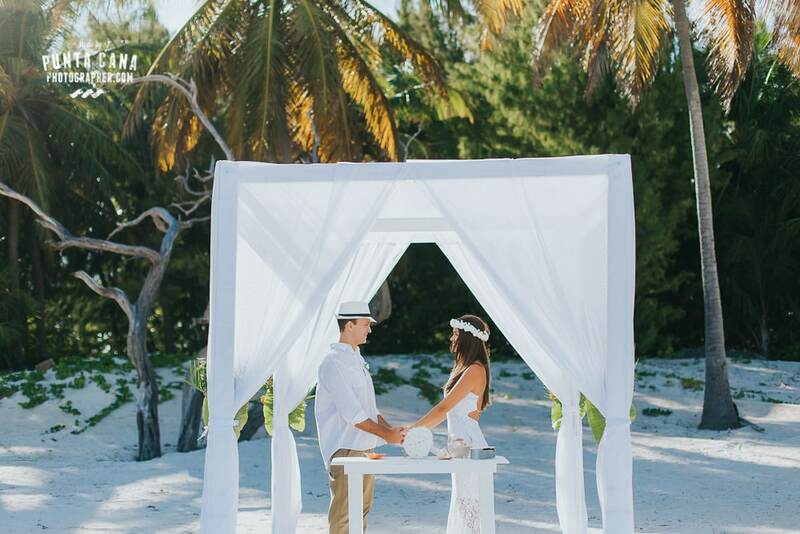 There is something incredibly romantic about elopements, don’t you think? 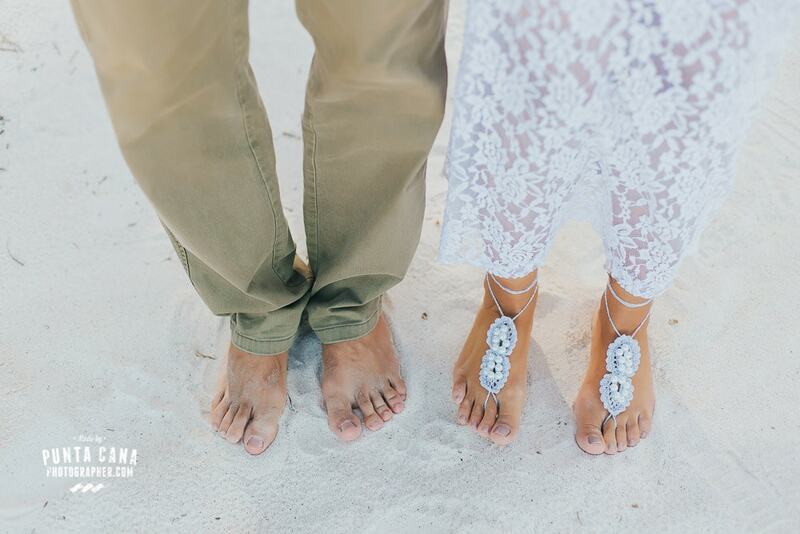 For us, they are the perfect celebration of love that two individuals can do when they wish to spend the rest of their lives together. 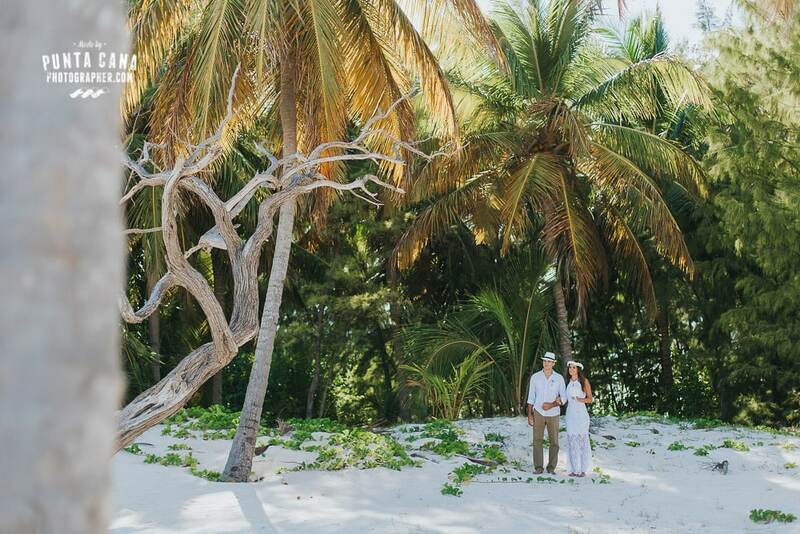 Whenever you think of a pristine isolated Caribbean beach, whether you know it or not, you are thinking about Juanillo Beach. 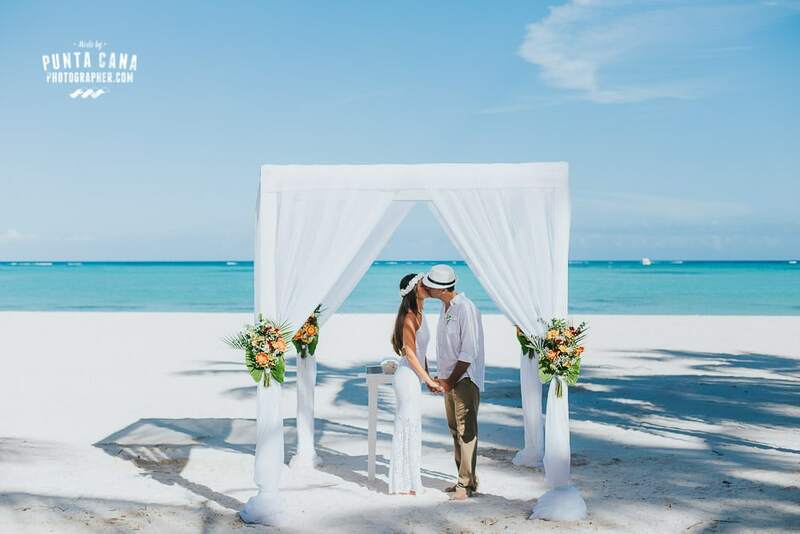 This beach is located inside CapCana Complex, which is a private area in Punta Cana only 15 to 20 minutes away from the airport. 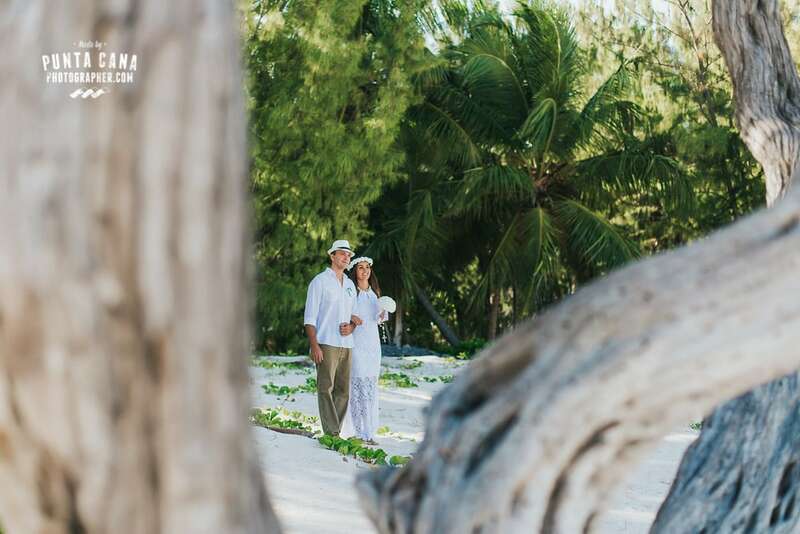 Most resorts here like Sanctuary CapCana or AlSol are very exclusive and a bit more expensive than in the Bavaro area, which makes the place a lot quieter and with fewer tourists. 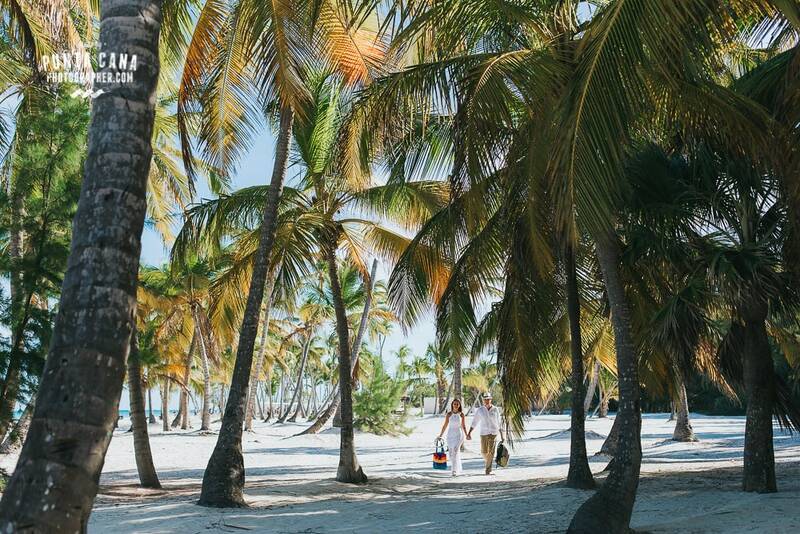 Luckily, you don’t need to stay in one of these resorts to come to Juanillo. 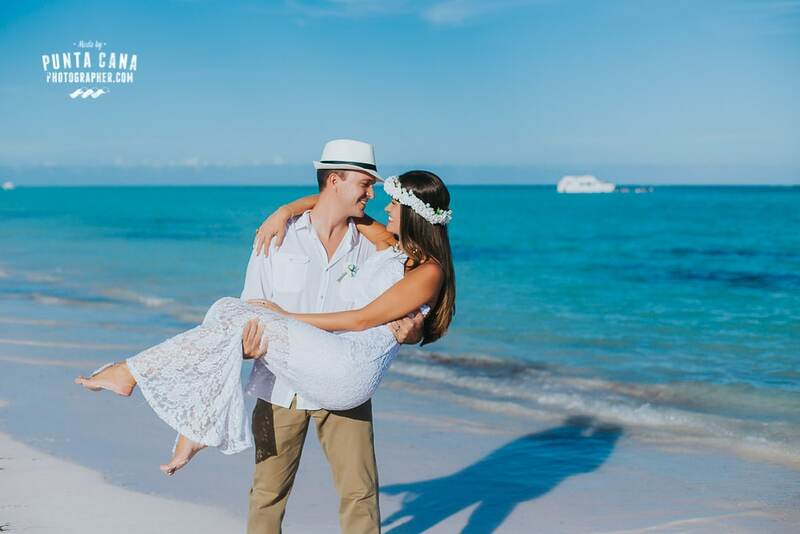 The beach has two restaurants open to the public called La Mona and Little John, where you can enjoy great food and drinks watching the stunning views or just relax and have a dip in the clear blue water. 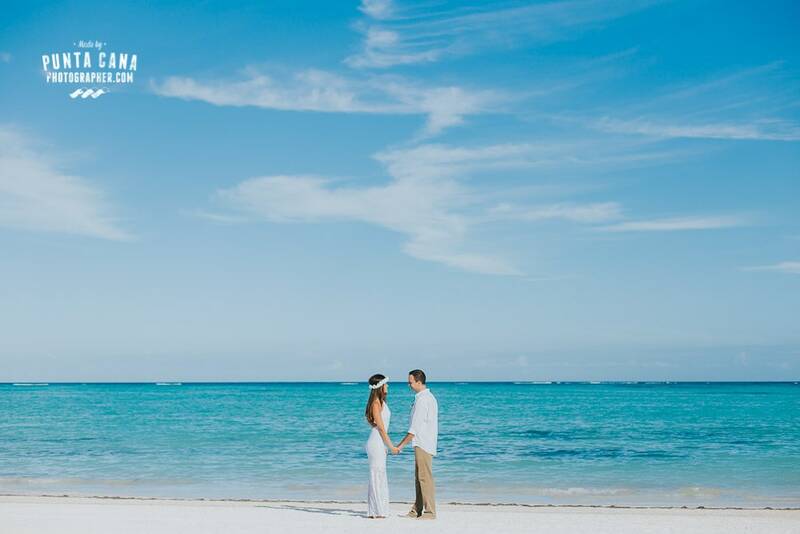 The access is free and if you don’t want to eat or drink you can still enjoy the view and lay in the sun to get a perfect tan. 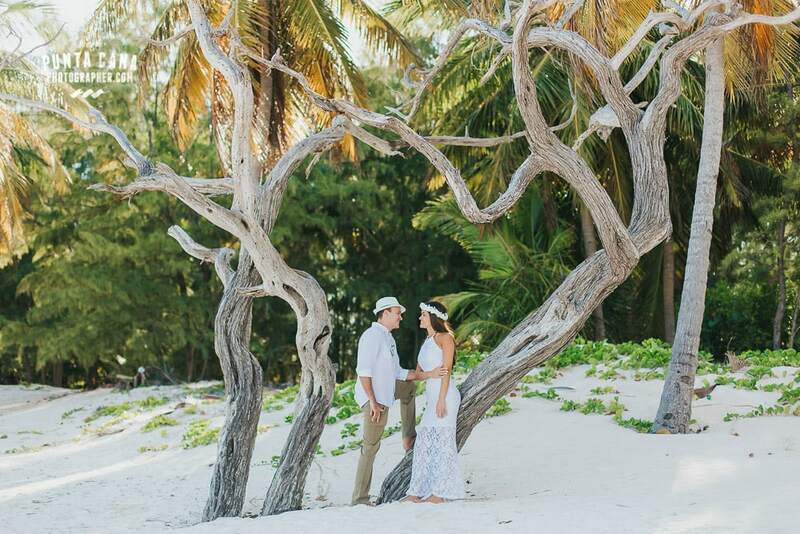 Juanillo is every photographer’s dream when it comes to backgrounds and locations for photos. 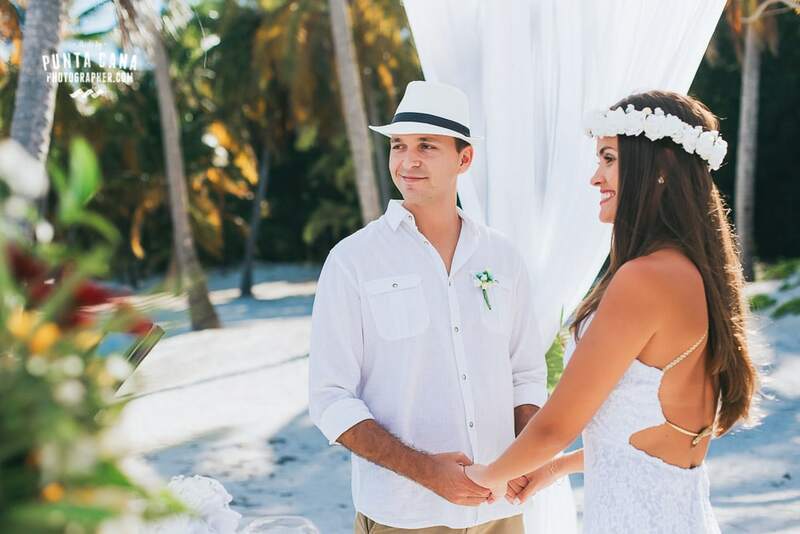 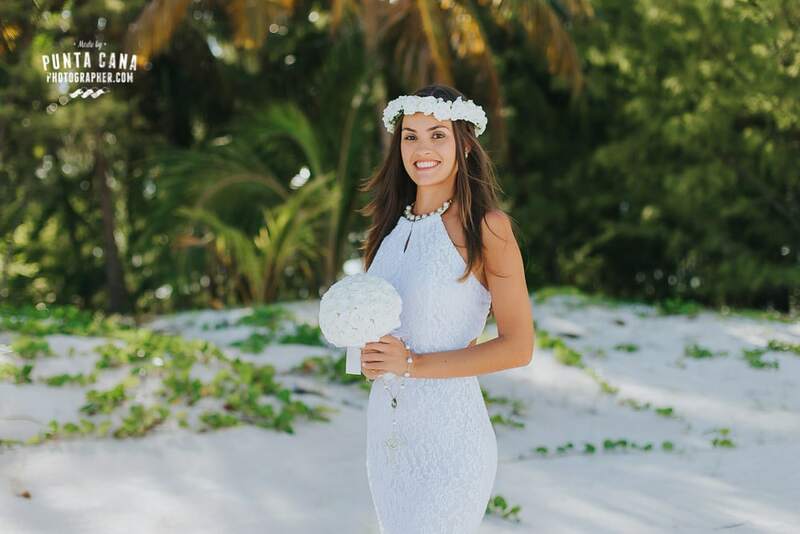 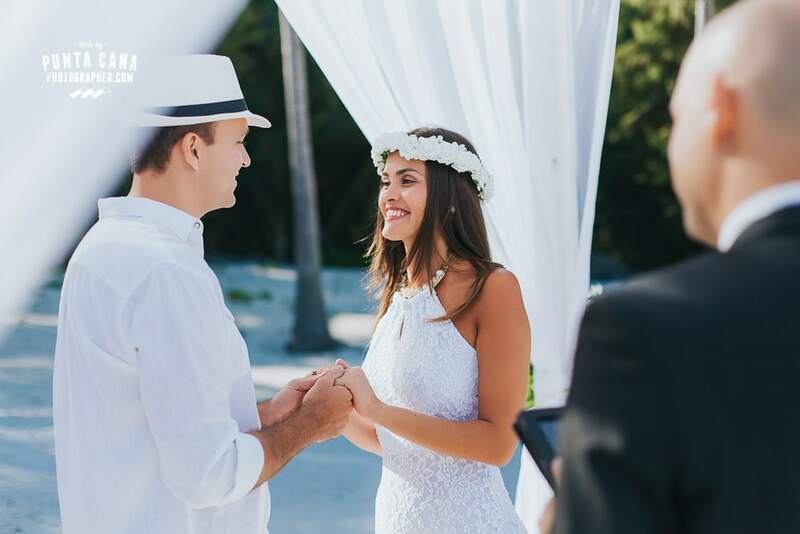 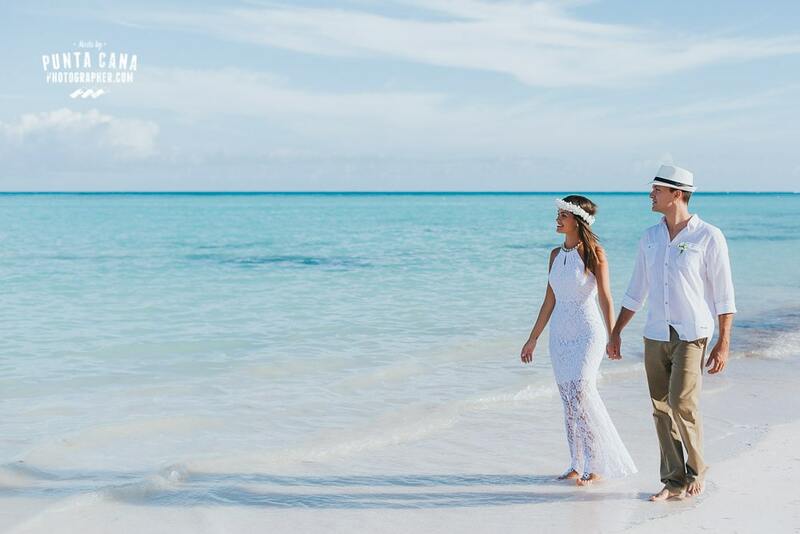 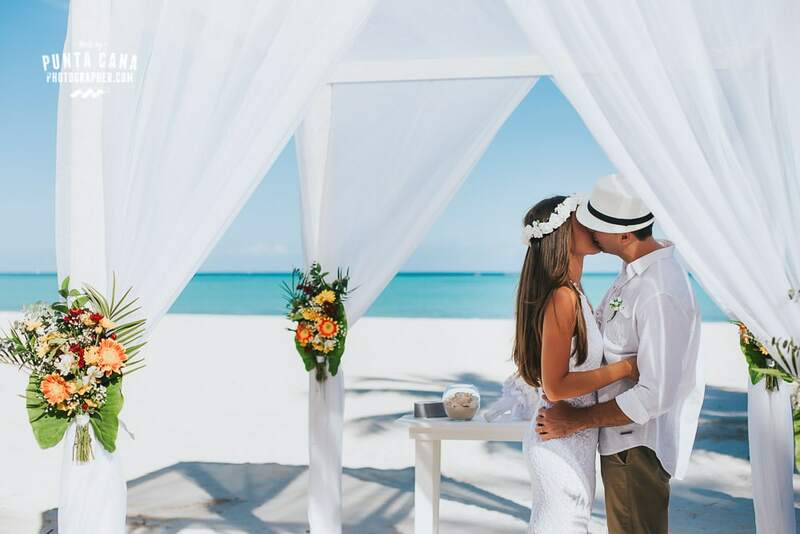 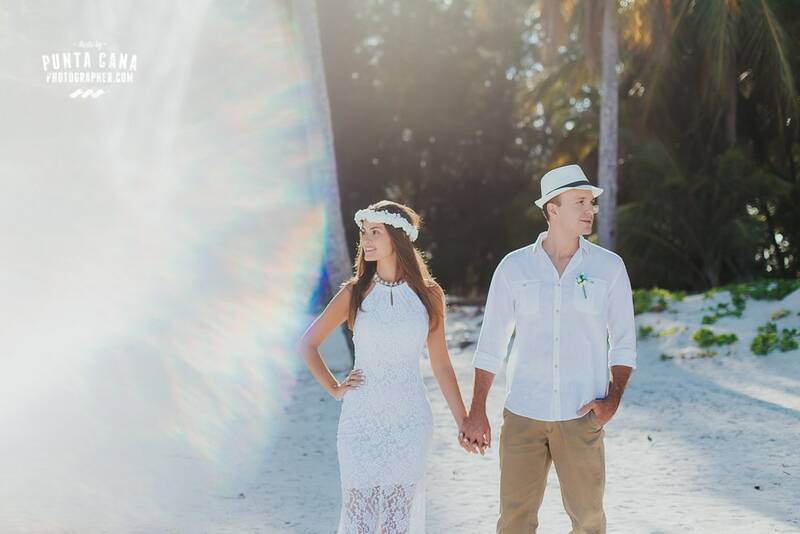 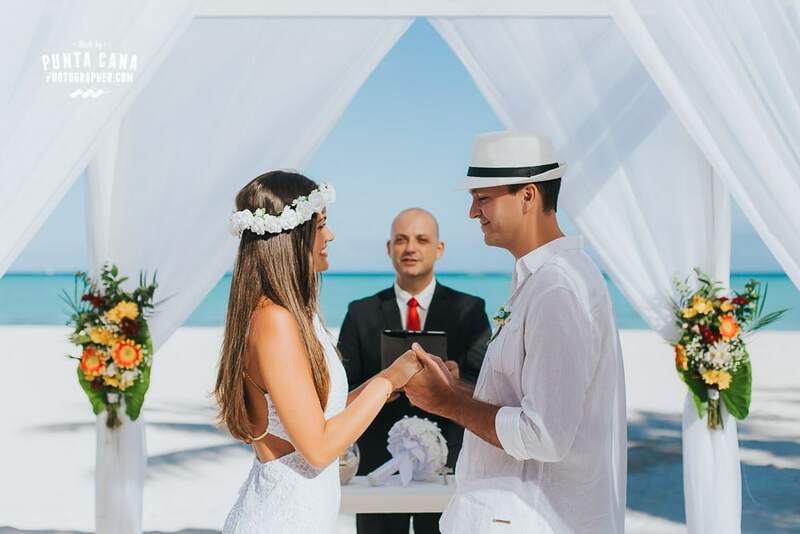 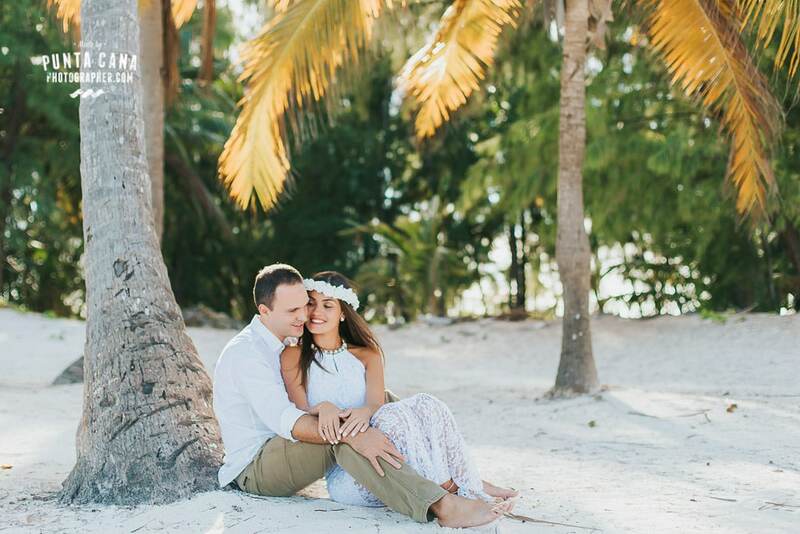 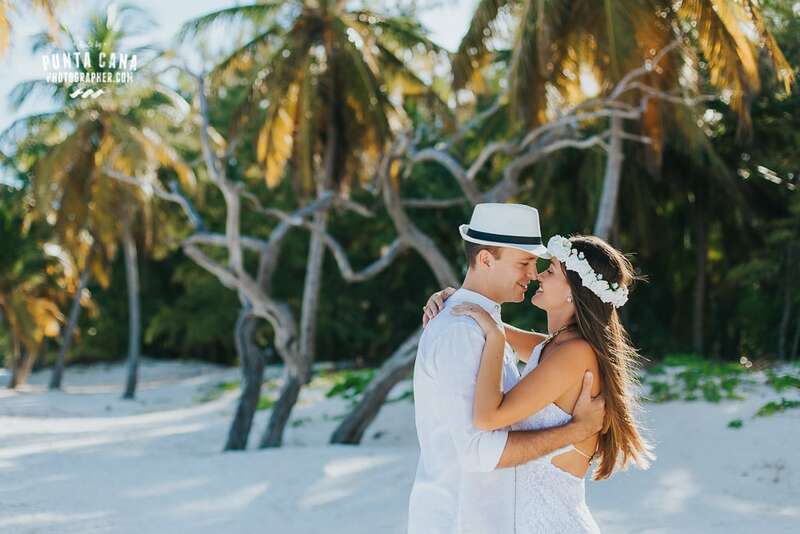 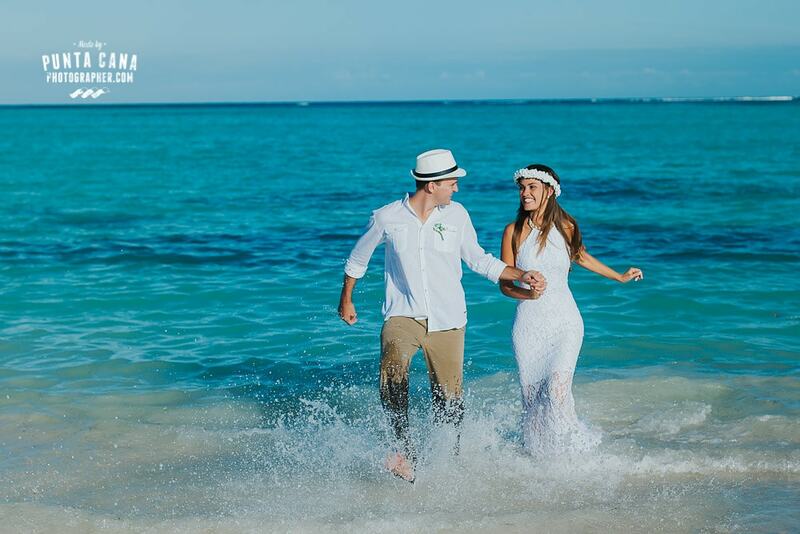 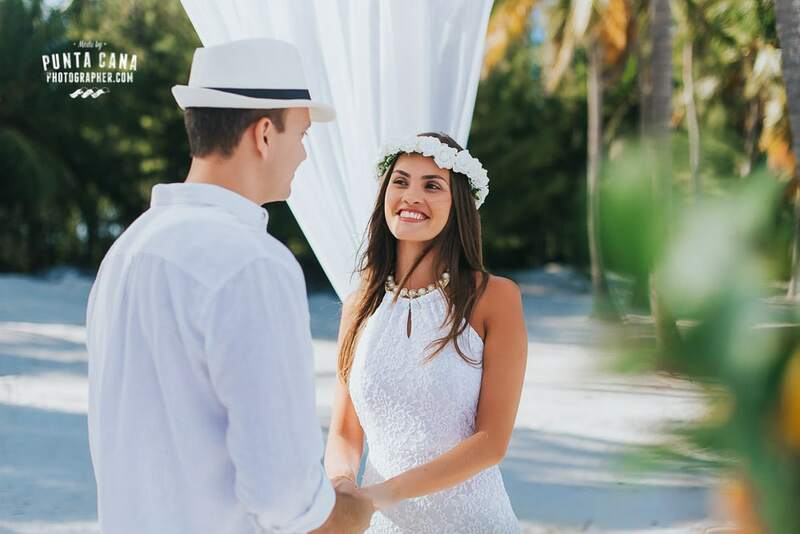 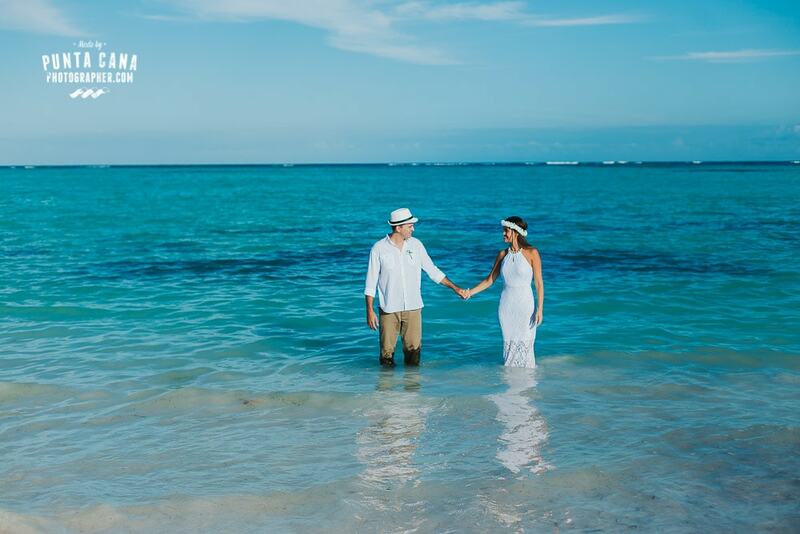 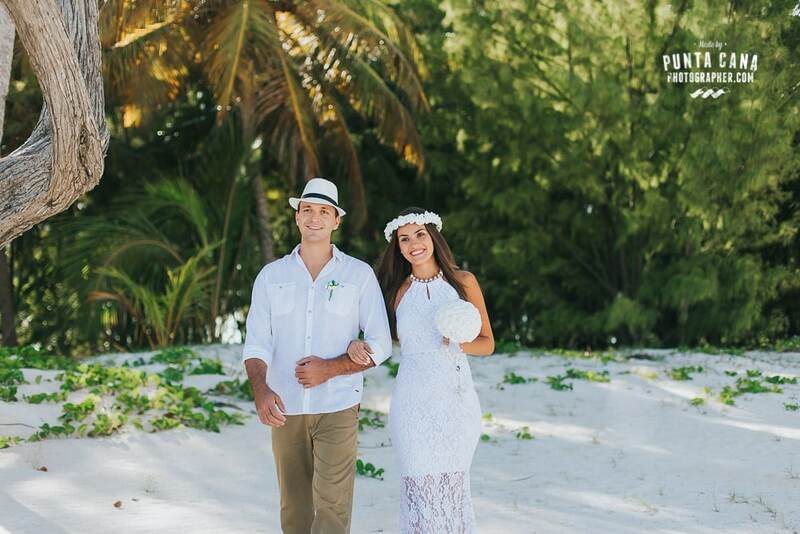 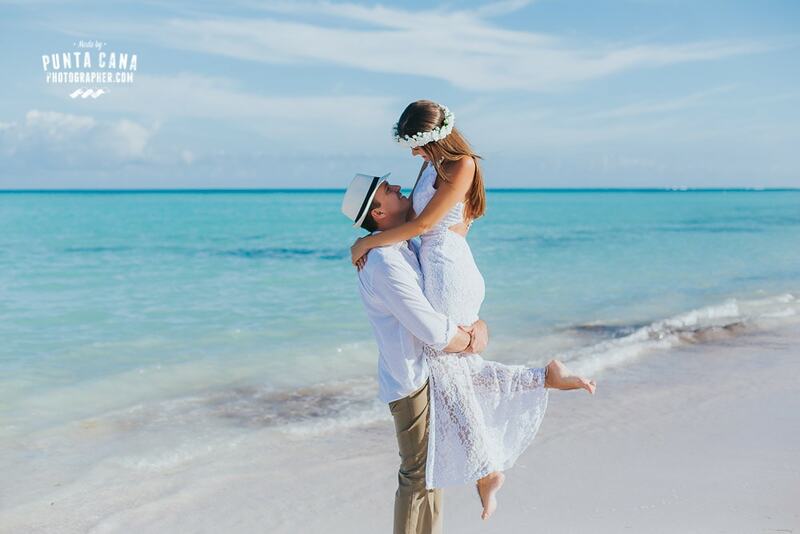 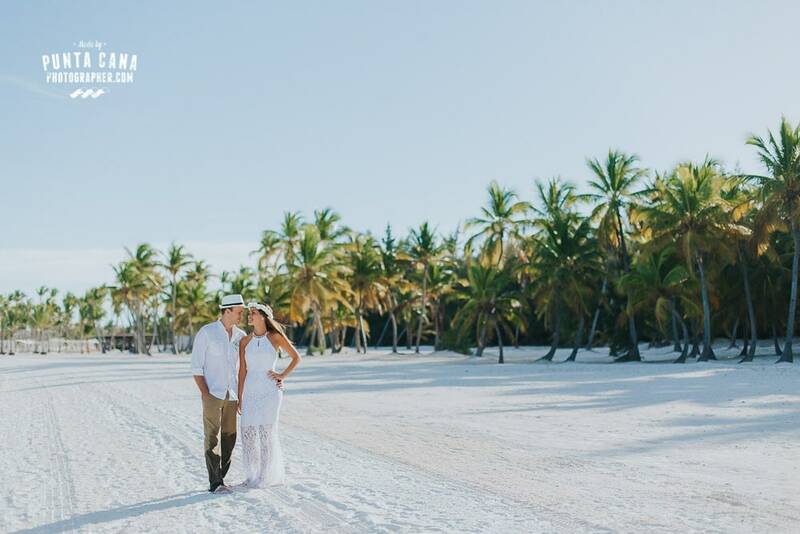 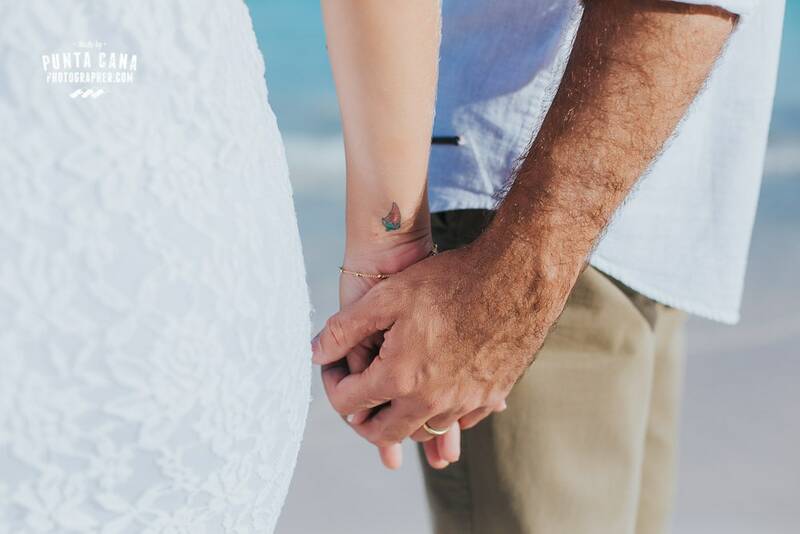 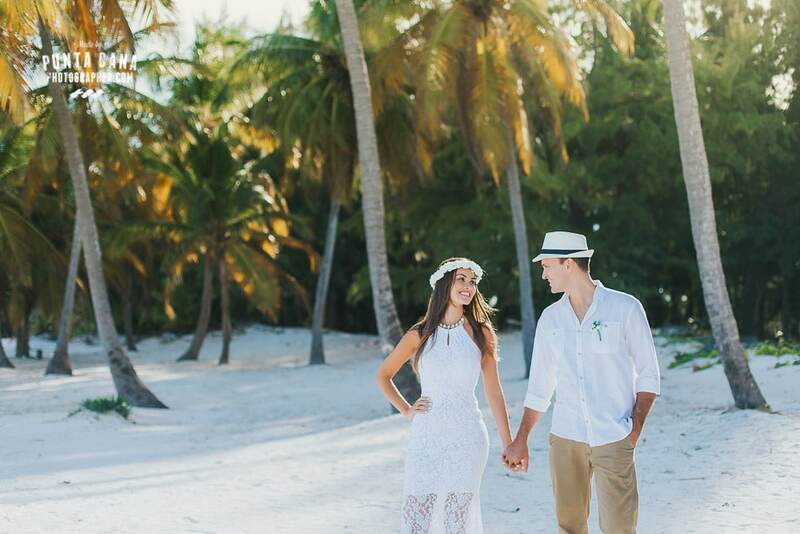 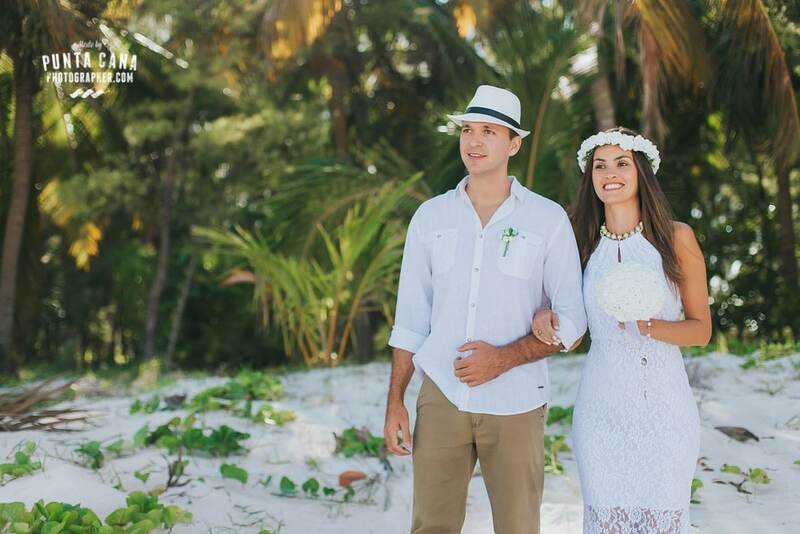 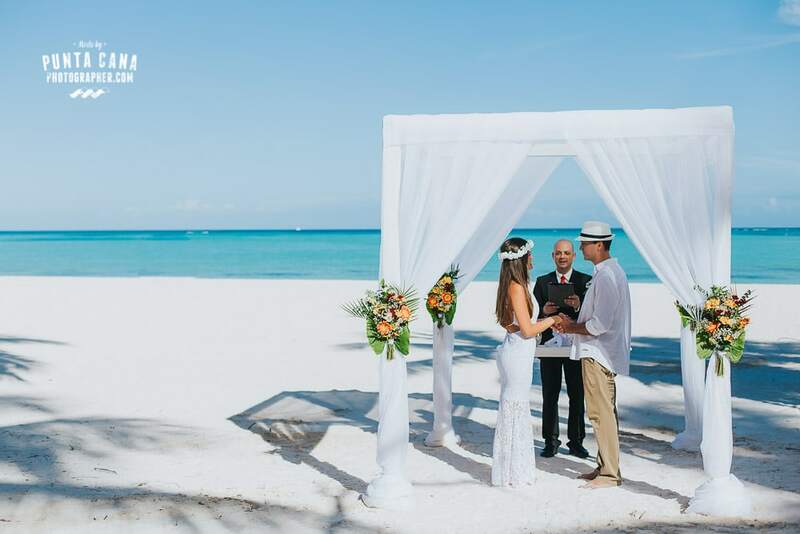 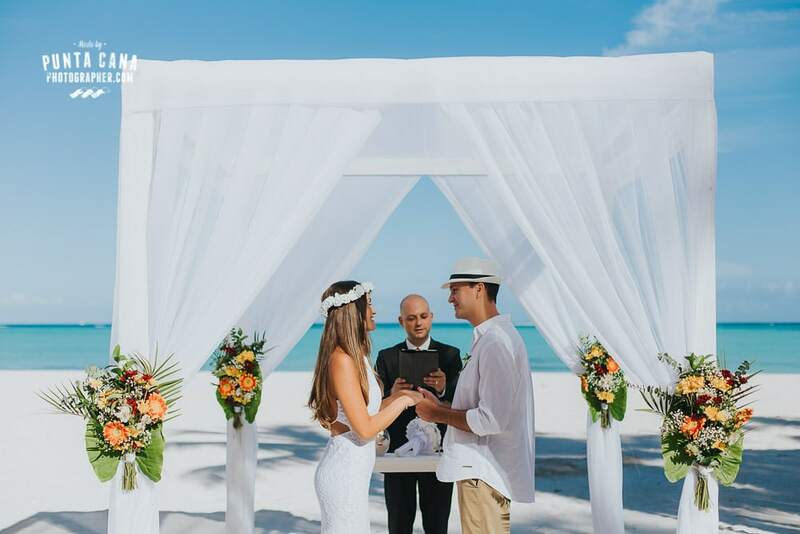 The beach is practically empty and the line of palm trees and the color of the water make it one of the best spots in Punta Cana to do photo shoots or weddings. 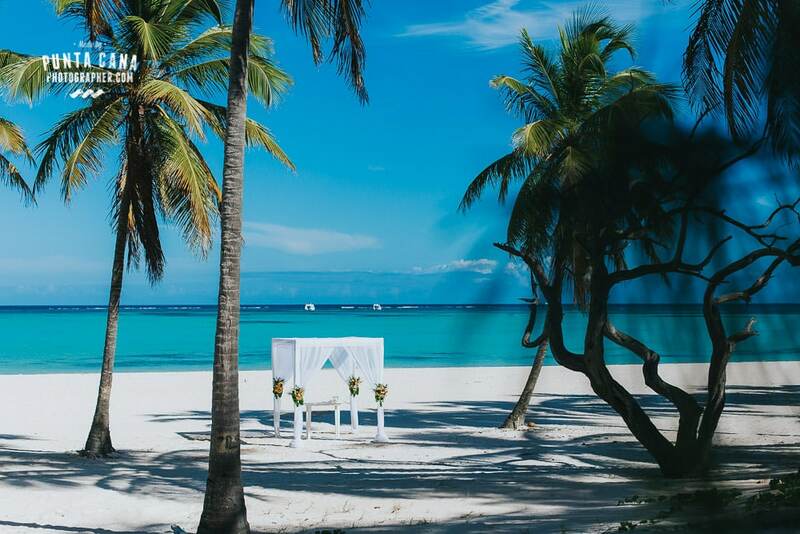 How do I book my Wedding or Photo Shoot in Juanillo Beach? 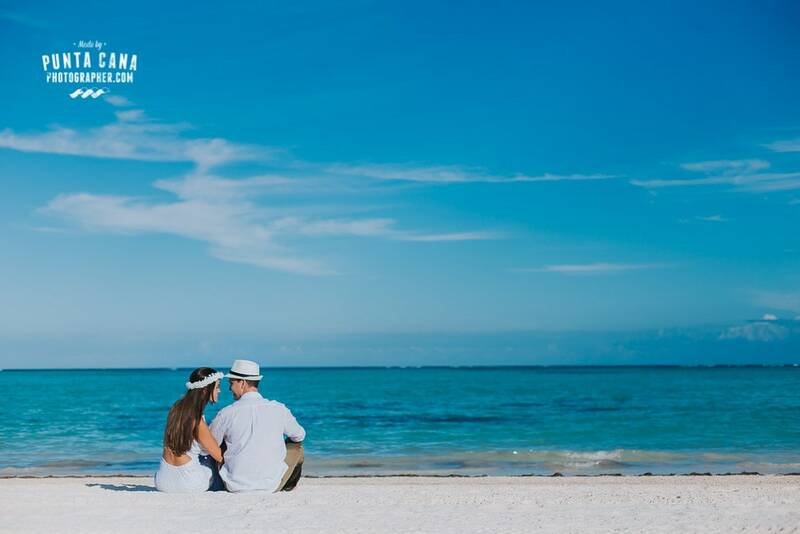 Because this is a private beach, there is a fee to be paid to the administration and we consider it is completely worth the money! 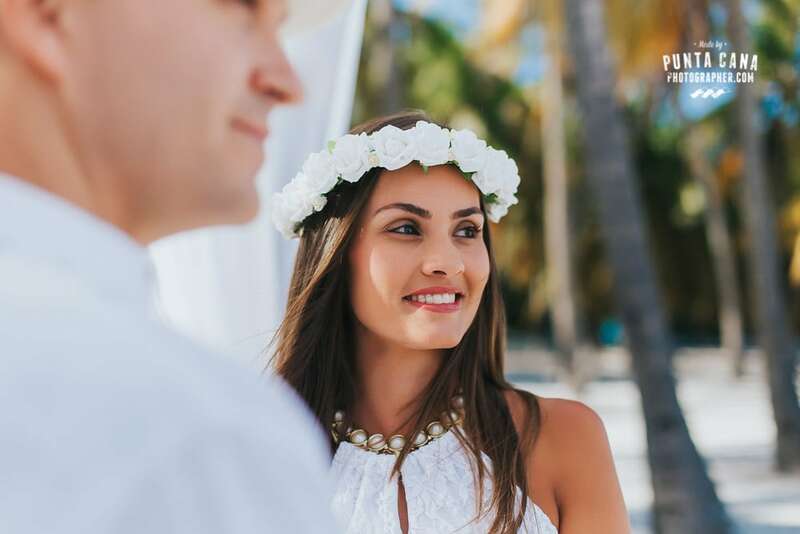 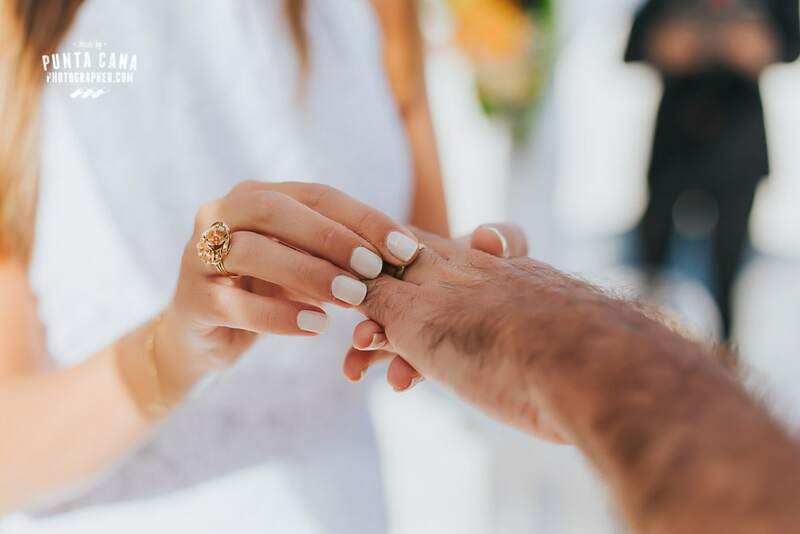 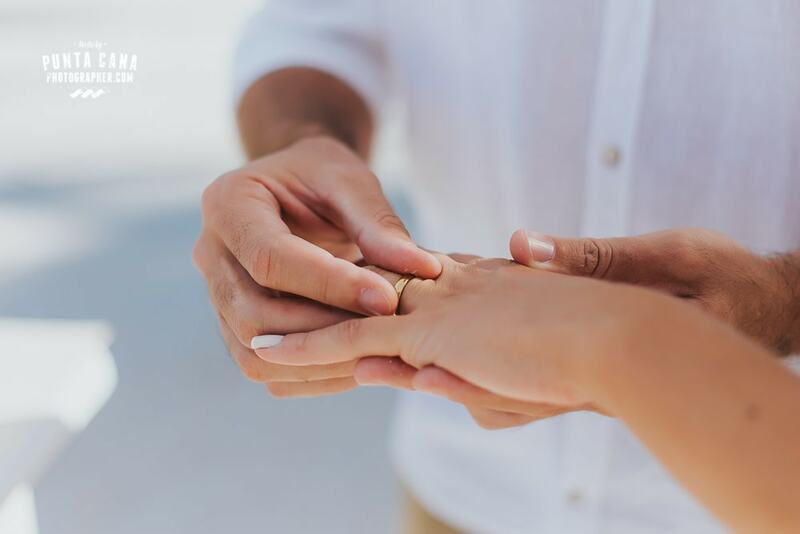 The prices are different for photo shoots and weddings and they will vary according to the number of guests you want to bring to your ceremony. 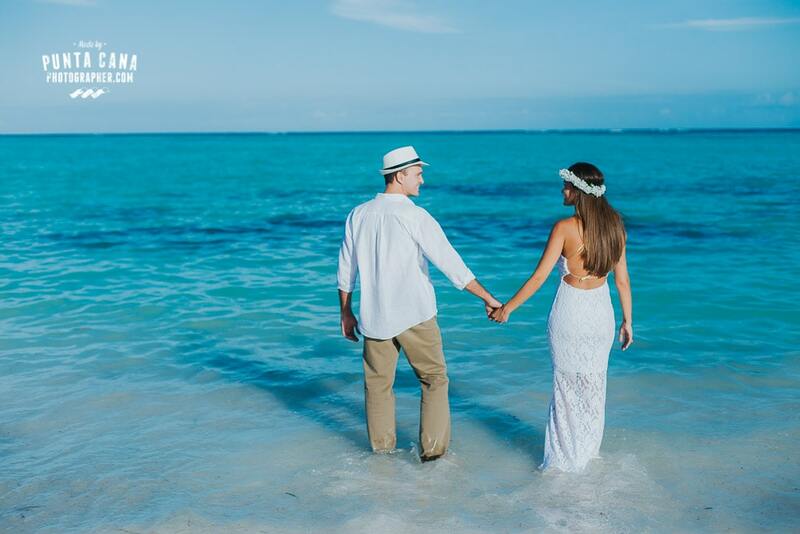 You can contact us and we will guide you through every step! 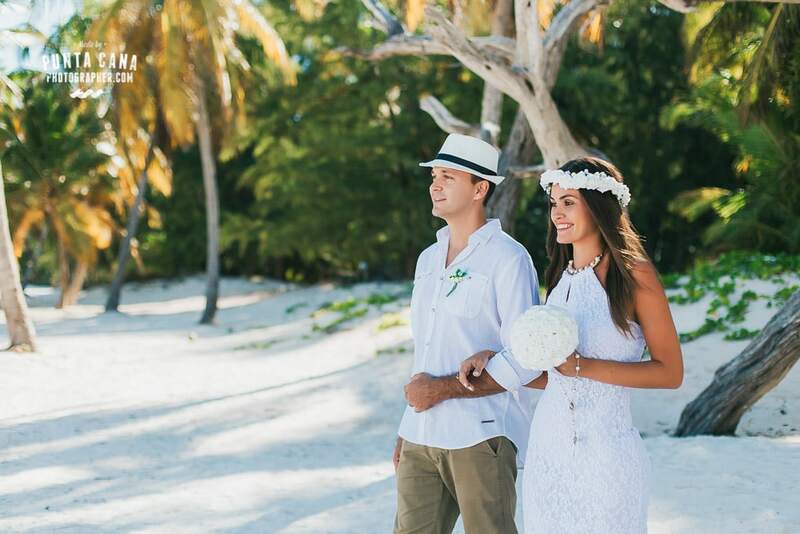 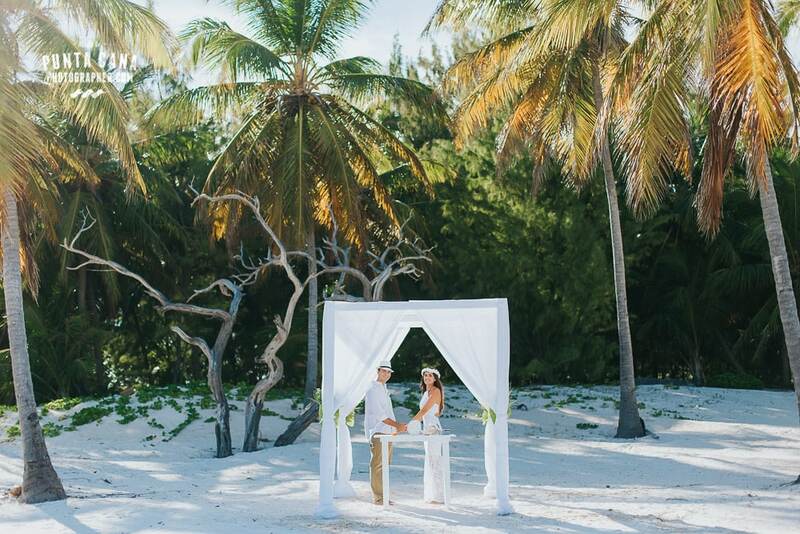 Gislene and Fabio dreamed of the perfect Caribbean wedding and their dreams came true the minute they set foot on this beautiful paradise. 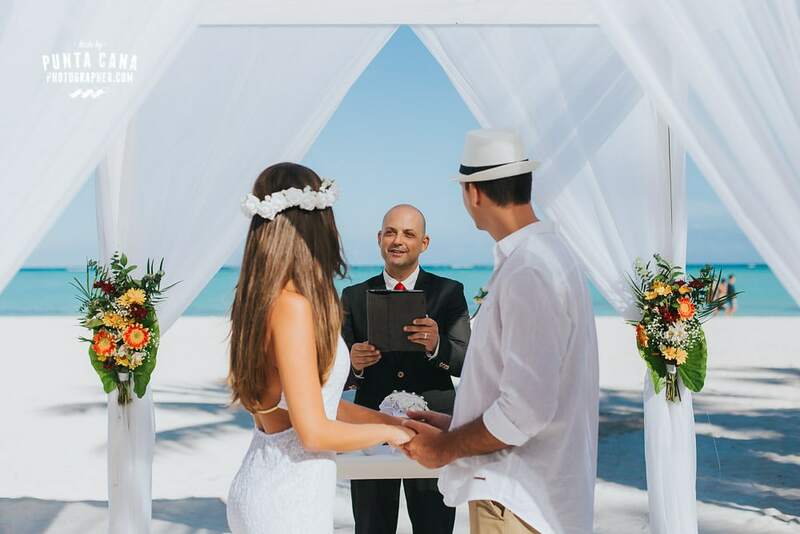 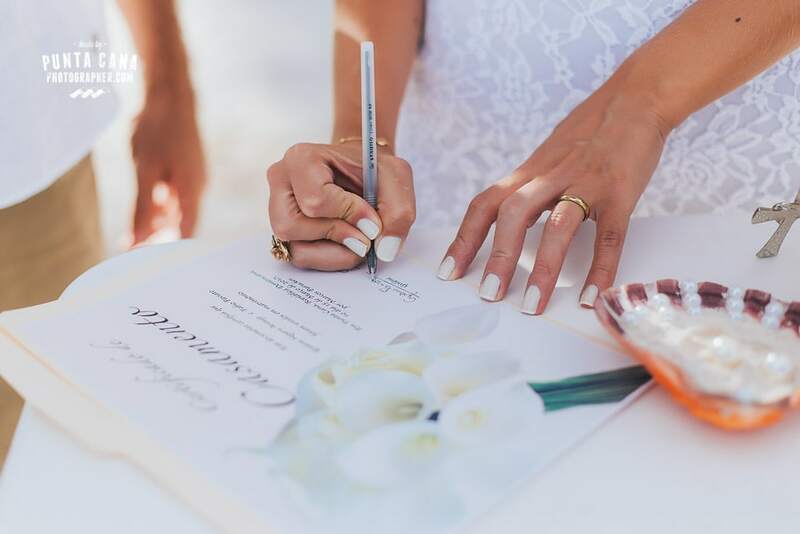 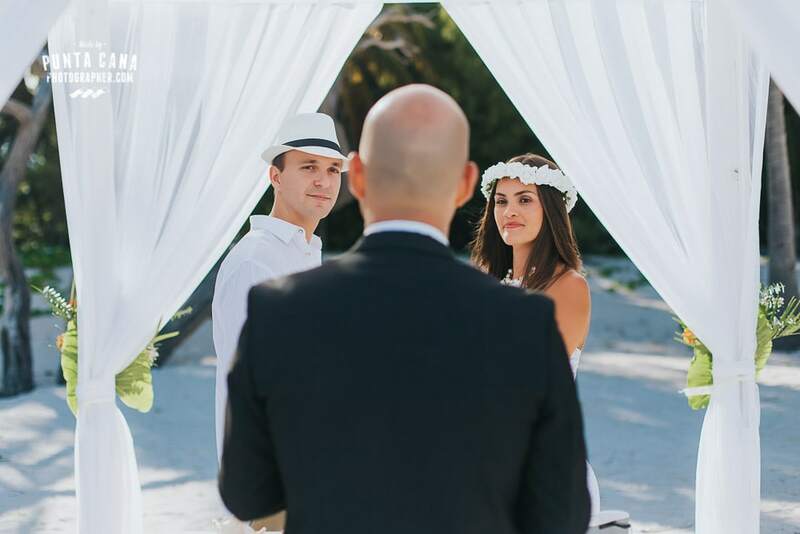 They were lucky enough to have a great officiant for their ceremony that made the moment even more special and almost brought them to tears!